The buggy that will go everywhere you go: the concord camino all-rounder buggy will go everywhere you go, whatever the terrain. it is equipped with robust wear-resistant tyres, shock cushioning on all wheels and a special elastomer suspension on the back wheels. as a result, the concord camino always guarantees a safe, quiet ride – not only on asphalt but also on unsurfaced woodland paths. the aluminium frame with its mountain bike look is an expression of the buggy’s sporty characteristics. this all round buggy combines practical functionality with highly comfortable seating. 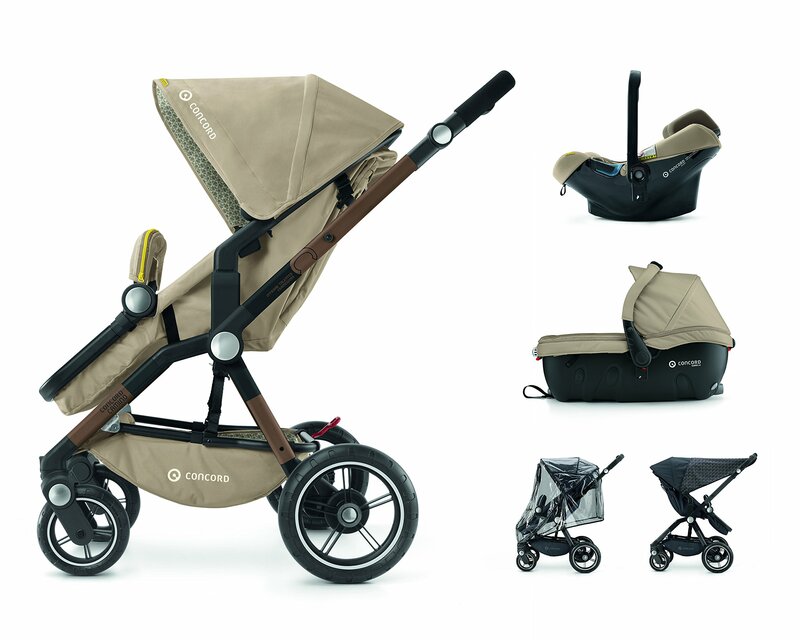 conceived as a travel system buggy, the concord camino opens up a whole realm of possibilities. combined with the concord sleeper 2.0 carrycot it is transformed into a comfortable pushchair in a single operation. the carrycot is additionally approved for use in the car, positioned crosswise on the back seat of the vehicle. whether at home, out and about with the buggy or in the car – your baby stays undisturbed in the comfort to which he or she is accustomed. the concord air safe baby car seat is also multifunctional. inside the car, it provides the highest level of safety, and for a trip to the shops or a walk in the park it can be attached conveniently to the buggy in just a single, one handed operation.